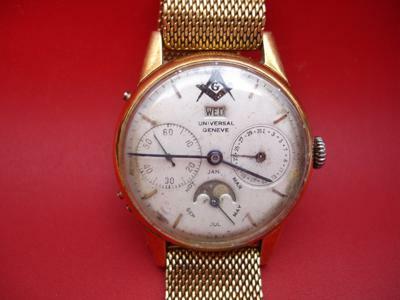 I am trying to determine the origin of a men's 18K gold mesh watch band that is attached to a vintage (1943) Universal Geneve 18K gold watch. I do not believe the watch originally came with the gold mesh band. 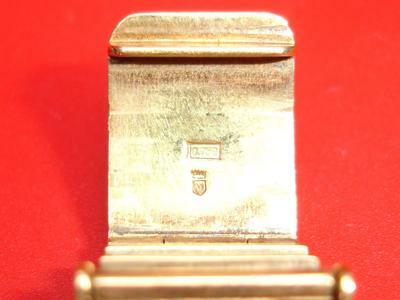 The clasp of the band is stamped 0.750 within a rectangle and just below is a hallmark of a simple crown with a shield below the crown. Within the shield is the letter M.
I've attached some pictures. Thank you for your assistance.